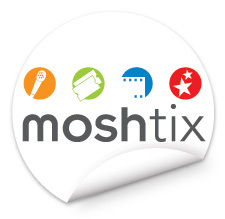 It was not so much the technicality of the system, but the innovations we brought to the table that assisted making Moshtix the premier online ticketing business. We developed the initial concept of scanning your credit card at the venue, rather than printing tickets at home, In those days home printers were dodgy at best and using them for barcode intentification was more trouble than it was worth. Of course things have changed now with better printers and QR codes, so they're back to printed tickets. However, \we were there right at the start, when there was a handful of venues and a basic website and our software enabled those first steps towards becoming the biggest online ticketting company in Australia. If you don't know the end result was that Moshtix sold to News Corp in 2007 for an undisclosed sum of around $5M.